Public cemeteries often have a need for a secure perimeter. However, finding something that will be strong, look appropriate and last for decades can be a difficult order to fulfill. 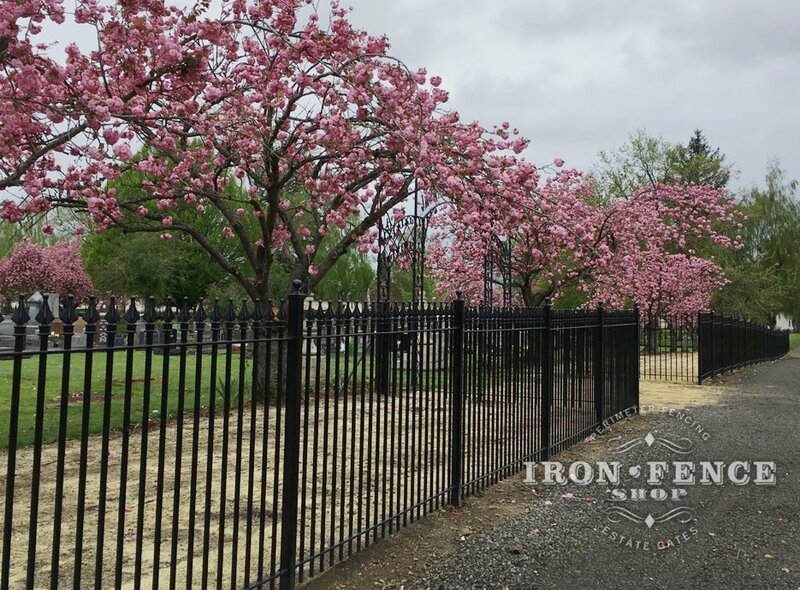 Look no further than our Stronghold Iron line of fencing. Our recommendation is to go with our heavier-duty Signature grade fence. 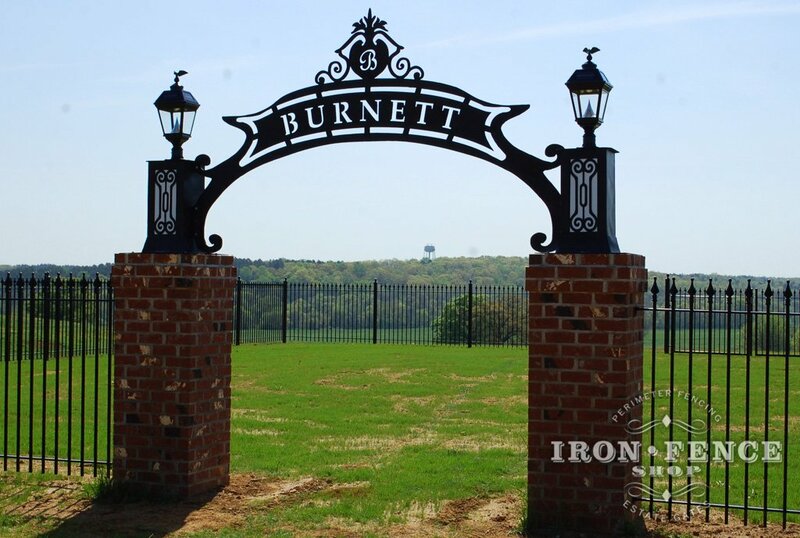 Not only is it the strongest iron fence we offer, but it also shows up better with its larger profile and doesn’t disappear into the scenery. 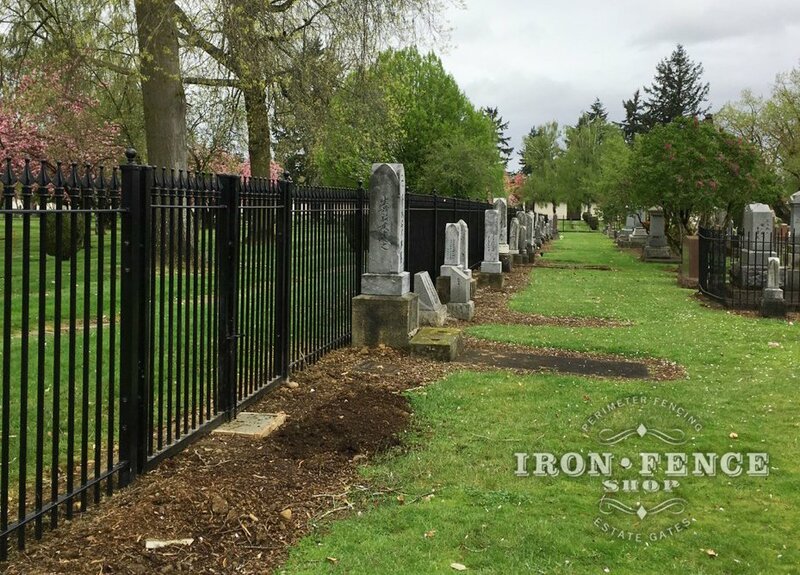 Our Stronghold Iron fence has been used in cemeteries across the United States. 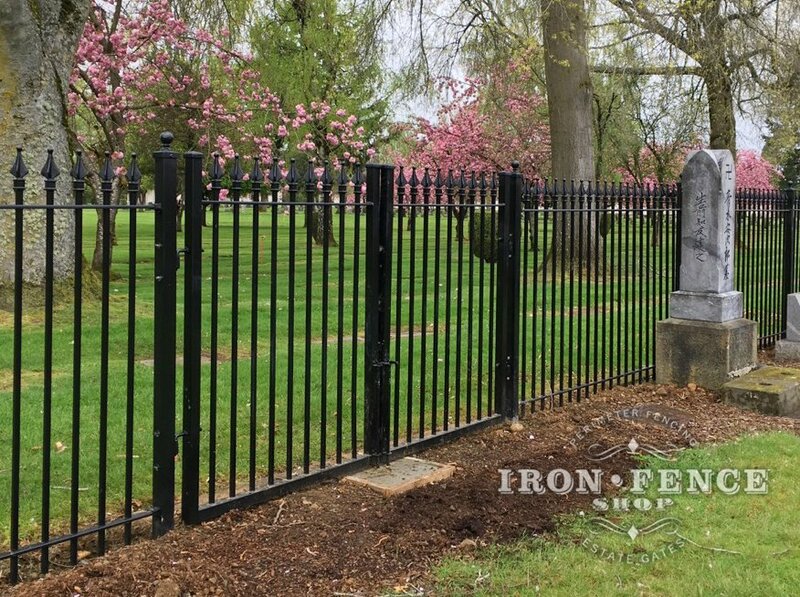 We’ve been selected by several historical societies and associations for fence around historic cemeteries and monuments as well. 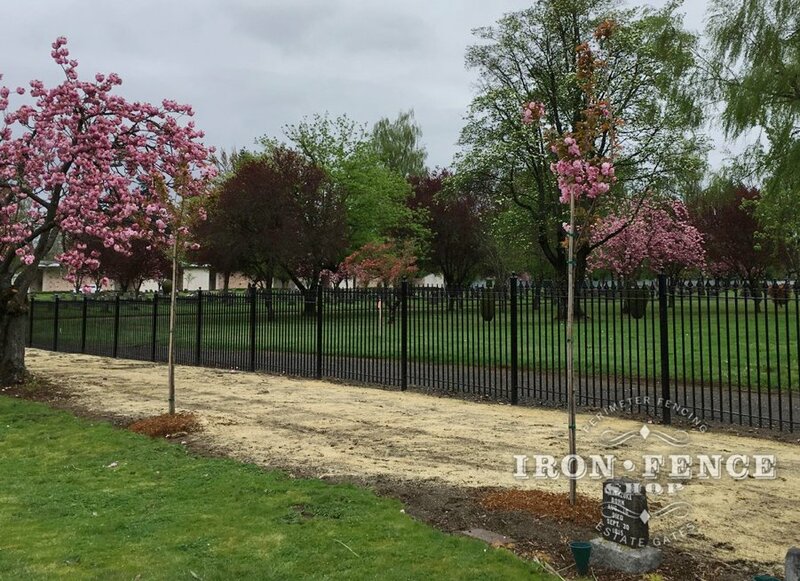 Here are some installed photos showing our Stronghold Iron Signature fence used in a Cemetery setting. 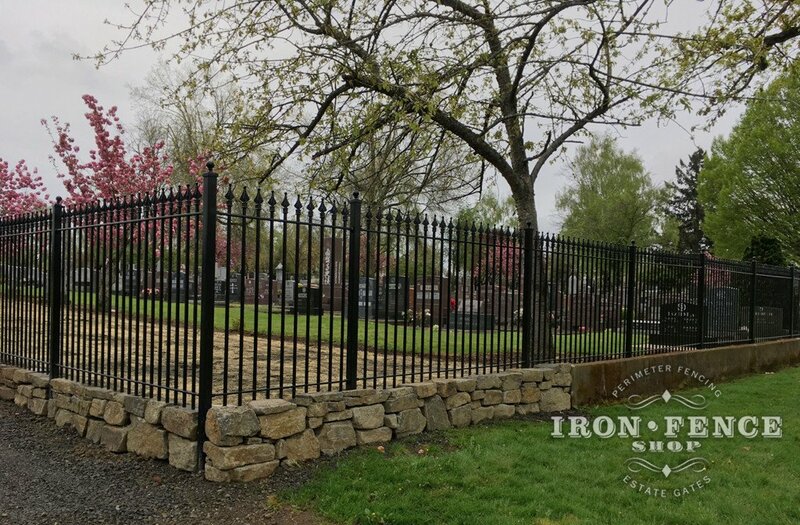 Whether you are looking to enclose a small family plot or enclose a 100 acre historic cemetery, give us a call or shoot us an email and we can work with you on the project to come up with the right iron fence for your project!